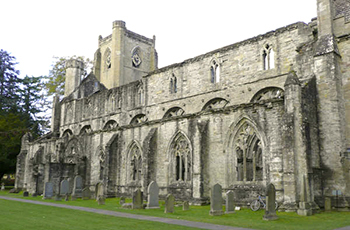 There has been a view that the loss of medieval ecclesiastical architecture since the Reformation has been so great that insufficient now survives for a detailed understanding of the pre-Reformation Scottish parish church. It is certainly true that relatively few parish churches still in use appear to be of predominantly medieval date. Nevertheless, it is becoming increasingly clear that a majority of parish churches survived the Reformation. Although many were subsequently rebuilt or abandoned, the purpose of this project was to determine if more medieval fabric has survived than might appear on first sight. 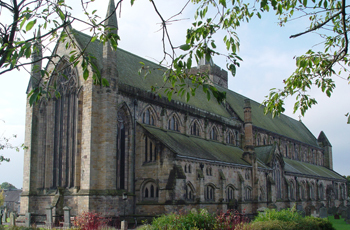 In order to assess how far this might be the case, a one-year pilot study was conducted in the two dioceses of Dunblane and Dunkeld. Such a precisely defined study permitted investigation of a sufficient number of parishes of varying size, wealth and type of location to allow the research techniques to be refined, and to determine if a larger project covering all thirteen Scottish dioceses might be viable. How many of the medieval parishes in Scotland have retained anything of the pre-Reformation fabric of their churches? How complete a picture can be established of the range of their medieval architectural forms and liturgical provisions? How much can be established of their parochial history, and how far can that be related to the architectural history? In this corpus each site has an entry in which the historical and architectural evidence is set out, together with a bibliography of the principal sources and illustrations of the existing buildings. These entries are prefaced by introductory sections in which conclusions are drawn from the information gathered at the individual sites.